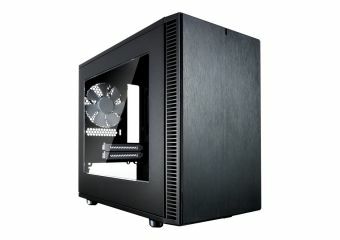 The Define Nano S is an ITX case that features compatibility with high end, full-size components, superior sound dampening, and an ATX-like layout. 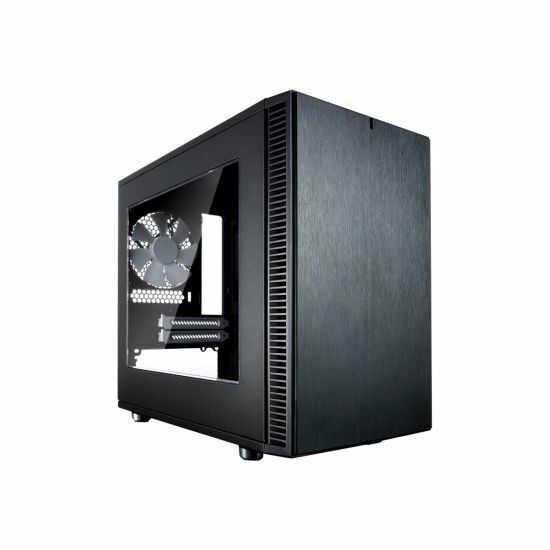 The case includes Dynamic Series fans with both bottom and front intakes protected by easy-to-clean, removable dust filters. With its mounting capabilities for simultaneous radiators and unobstructed airflow path, the Define Nano S can cool enthusiast-level components. Equipped with Fractal Design's signature ModuVent technology on the top vents and sound dampening throughout, the Define Nano S can run a powerful system quietly, a hallmark of the Define series. Udvidelses-båse 2 (total) / 2 (fri) x intern - 2,5" / 3,5" delt ¦ 2 (total) / 2 (fri) x intern - 2.5"